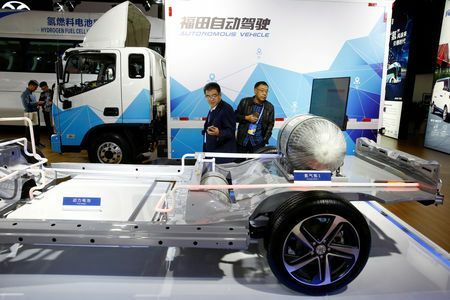 BEIJING — Having just broken ground for a new factory in the southern Chinese province of Hunan, the head of electric car startup Singulato Motors has grand plans: build up to 50,000 electric vans per year and ride the crest of a wave for e-truck demand in China. For a growing number of automakers operating in the world’s biggest vehicle market, it’s time to invest in electric vans and trucks. They’re convinced by increasingly stringent restrictions aimed at reining in pollution, generous subsidies as well as robust demand for light-duty trucks as e-commerce flourishes. Singulato, which is due to launch its first electric car by the middle of next year, hopes to open the e-truck plant by 2020 and quickly ramp up annual output to 50,000. Shen envisions two main models that would appeal to e-commerce and logistics firms: a small intra-city delivery van the size of the Ford Transit or the Toyota HiAce, and a delivery truck under 2 tonnes. Growing momentum for e-trucks could prove to be a tipping point for the electric vehicle, first in China and eventually worldwide – encouraging the mass adoption that Tesla Inc and other EV makers are aiming to give rise to with passenger cars. Impediments that come with electric vehicles, such as the high cost of the battery and cumbersome charging needs, could with a truck fleet be erased to make the total cost of operation cheaper than gasoline or diesel. Batteries could be designed smaller since routes would be predictable, charging stations and schedules could be deployed more strategically and as trucks are often operated around the clock, economies of scale could be achieved, Russo said. Foton, part of Beijing-based BAIC Group and China’s biggest maker of light-duty trucks under 6 tonnes, is also looking at expanding further into electric delivery vans, people with knowledge of the matter said. In August, a group of Foton officials gathered in a small spartan office in low-rise building near Tokyo’s posh Ginza district. Eager to develop a compelling mini delivery e-van, they had come to seek advice from a highly regarded engineer, now retired from a Japanese automaker. The officials, who believed that Japan’s minicar technology could offer a good base for a low-cost van, wanted his input on how to design one that could be sold for as little as 50,000 yuan ($7,225), according to two people who were at the meeting. “That was a second visit since late last year,” said one of the two people, who spoke on condition of anonymity. “They’re serious,” he said. A representative for Foton declined to comment. Foton has some electric commercial vehicles on the market but volumes are still tiny with around 800 sold last year. While electric trucks may not grab the public imagination in the same way Tesla’s electric vehicles have done, their advent has long been advocated by many auto experts. Skeptical of the merits of the industry’s rush into long-range passenger cars, they believe battery electric technology, because of its heavy weight and the limits on driving ranges, has a more natural home in short-haul trucks. That’s particularly so for intra-city delivery vans and trucks plying routes that are pre-determined or at least predictable. Last year, the number of electric light-duty commercial vehicles – both all-electric and plug-in hybrids – sold in China was roughly 200,000, about 6 percent of the market for trucks under 6 tonnes. Nissan Motor Co, one of the first global automakers in China to develop an e-truck line-up through its venture with Dongfeng Group, believes that demand for light-duty e-trucks will quadruple in four to five years. 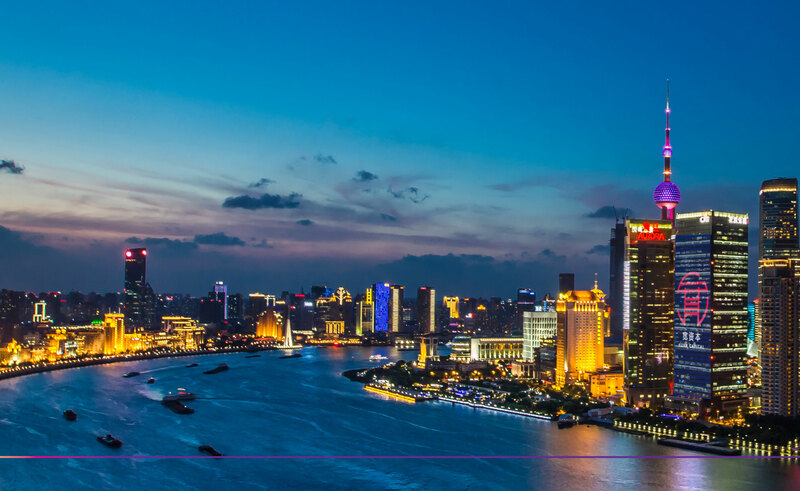 Its joint venture, Dongfeng Motor Co Ltd, is aiming to lift its electric commercial vehicle sales six times to 90,000 by 2022. Nissan’s partner Renault SA is also on the case. Its new venture with Brilliance China Automotive Holdings Ltd plans to launch three electric delivery vans in two years, starting next year. Warren Buffet-backed BYD and Geely [GEELY.UL] also have some electric trucks and vans on the market, although volumes are still quite small. Growth in e-trucks fits hand in glove with efforts by Beijing and Chinese local authorities to promote electric vehicles – both to jump-start a domestic auto industry that lags global rivals in internal combustion engine technology and to combat smog – a constant source of public discontent. Subsidies, up to 100,000 yuan from the central government alone, are helping to propel the shift. Nissan’s most popular electric commercial vehicle, the Dongfeng D94 van, is eligible for combined subsidies of up to about 80,000 yuan from the central government and regional authorities, knocking roughly a third off its purchase price. Nearly two dozen cities including Beijing, Shanghai and Guangzhou have put in place restrictions on fossil-fueled trucks coming into city centers. Beijing for instance last year banned heavier trucks from entering the city center between 6 a.m and 11 p.m. and next year will place further limits on diesel and some other commercial vehicles.